Megan Stadler, DVM, is an assistant professor of emergency medicine and critical care at The Ohio State University, where she earned her DVM. Dr. Stadler is a member of the European Veterinary Emergency and Critical Care Society, the Veterinary Emergency and Critical Care Society, the American College of Veterinary Radiology, and the International Veterinary Radiology Association. Her clinical interests include diagnostic imaging, toxicities, and polytrauma. Curious about cannabis use in veterinary medicine? Attend Dr. Robert Silver's session "Veterinary Cannabis Update" at Chicago Vet. 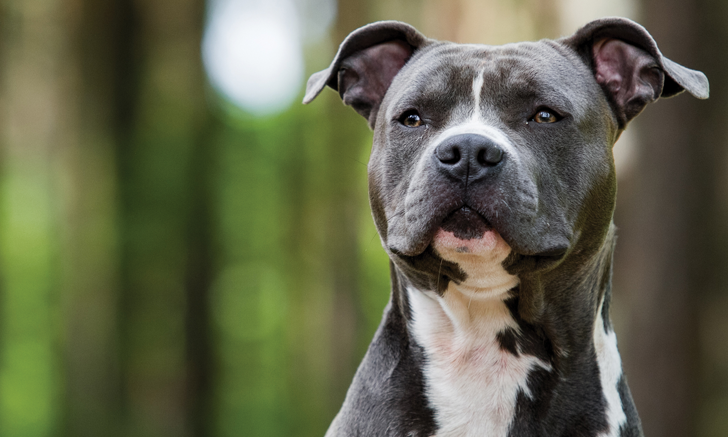 Stevie, a 3-year-old, 50.8-lb (23.1-kg), neutered male pit bull, was presented for an emergency examination approximately 3 hours after the owner noticed an acute onset of lethargic behavior. The owner reported that Stevie had behaved normally the previous night. He was the only dog in the household and had access to a garage and fenced yard. There was no history of tick bites or travel. Stevie had been neutered at 8 months of age with no complications and had no major medical or surgical history. He was up-to-date on flea, tick, and heartworm preventives and received no other medications. Physical examination revealed a rectal temperature of 98°F (36.7°C), heart rate of 60 bpm, and respiratory rate of 24 breaths per minute. Stevie was mildly (ie, 6%) dehydrated and dribbled urine while walking. During the neurologic examination, Stevie fell asleep during periods of inactivity but had times of hyperresponsiveness to mild-to-moderate stimulation. Marked proprioceptive ataxia with bilateral mydriasis and sluggish pupillary light reflexes were noted. The rest of the physical examination was unremarkable. For those located in states where recreational marijuana use has been legalized, have you seen an increase in marijuana intoxication cases since legalization? I have suspected cases of marijuana intoxication but have not confirmed them. I have never seen a case of marijuana intoxication. I am not located in a state where recreational marijuana use has been legalized. CBC and serum chemistry profile were normal. Blood pressure measured by Doppler method was 118 mm Hg. An over-the-counter (OTC) urine drug screen test was performed and was positive for tetrahydrocannabinol (THC; see Urine Drug Screen Tests). The owner affirmed that Stevie had the potential for recent (ie, <4 hours) marijuana exposure. Activated charcoal with sorbitol (1-2 g/kg PO); repeat doses were not given. Orders were given for diazepam (0.5 mg/kg IV) to be administered as needed to control agitation, tremors, and/or seizures; however, this medication was not administered, as it was not needed. Stevie’s vitals returned to normal after several hours of supportive care and monitoring, during which time mentation slowly improved. He was discharged 24 hours after admission with no further medication. Patients with nonsevere marijuana intoxication may improve slowly over the course of a few hours, in which case some owners may elect to take their pet home. Recommendations for hospitalization can be made for patients that are severely affected or dehydrated or if owners prefer that their pet recover while under professional medical supervision. THC intoxication is caused by inhalation of the smoke or ingestion of any portion of the plant, products laced with marijuana, or products made with concentrated THC oil. THC is lipid-soluble and undergoes enterohepatic recirculation. Recovery is dose-dependent and may take 24 to 72 hours. OTC urine drug screen tests have not been validated in dogs, and false-negative results are common. Janczyk P, Donaldson CW, Gwaltney S. Two hundred and thirteen cases of marijuana toxicoses in dogs. Vet Human Toxicol. 2004;46(1):19-21. DiBartola SP, Bateman S. Introduction to fluid therapy. In: DiBartola SP, ed. Fluid, Electrolyte, and Acid-Base Disorders in Small Animal Practice. 4th ed. St. Louis, MO: Elsevier Saunders; 2012:345-346. Kaplan A, Whelan M. The use of IV lipid emulsion for lipophilic drug toxicities. J Am Anim Hosp Assoc. 2012;48(4):221-227. Meola SD, Tearney CC, Haas SA, Hackett TB, Mazzaferro EM. Evaluation of trends in marijuana toxicosis in dogs living in a state with legalized medical marijuana: 125 dogs (2005-2010). J Vet Emerg Crit Care (San Antonio). 2012;22(6):690-696. Fitzgerald KT, Bronstein AC, Newquist KL. Marijuana poisoning. Top Companion Anim Med. 2013;28(1):8-12. Sharma P, Murthy P, Bharath MM. Chemistry, metabolism, and toxicology of cannabis: clinical implications. Iran J Psychiatry. 2012;7(4):149-156. Cary PL. The marijuana detection window: determining the length of time cannabinoids will remain detectable in urine following smoking. A critical review of relevant research and cannabinoid detection guidance for drug courts. Natl Drug Court Inst. 2006;4(2). Teitler JB. Evaluation of a human on-site urine multidrug test for emergency use with dogs. J Am Anim Hosp Assoc. 2009;45(2):59-66. Brutlag A, Hommerding H. Toxicology of marijuana, synthetic cannabinoids, and cannabidiol in dogs and cats. Vet Clin North Am Small Anim Pract. 2018;48(6):1087-1102.